For years, augmented reality has been the stuff of science fiction. When Tom Cruise flung virtual case files around the room in "Minority Report" and Robert Downey Jr. prototyped his "Iron Man" suit using 3D holograms, you knew those films meant future. Now, Apple (AAPL) wants to take a step toward making those concepts a reality. Back in June, the company teased ARKit -- a set of tools that enable developers to create augmented reality apps. Although we're not getting dropped in Tony Stark's workshop overnight, augmented reality apps are coming to the iPhone and iPad. And Apple seems confident that AR will be the next big thing. In fact, Greg Joswiak, Apple's VP of Marketing, calls it a "gigantic deal." "This is this dream of things you wanted to do as far as mixing the digital world into the real world," he told CNN Tech. "It has so many applications -- from shopping and entertainment to things we haven't even thought about -- but it's been unattainable." 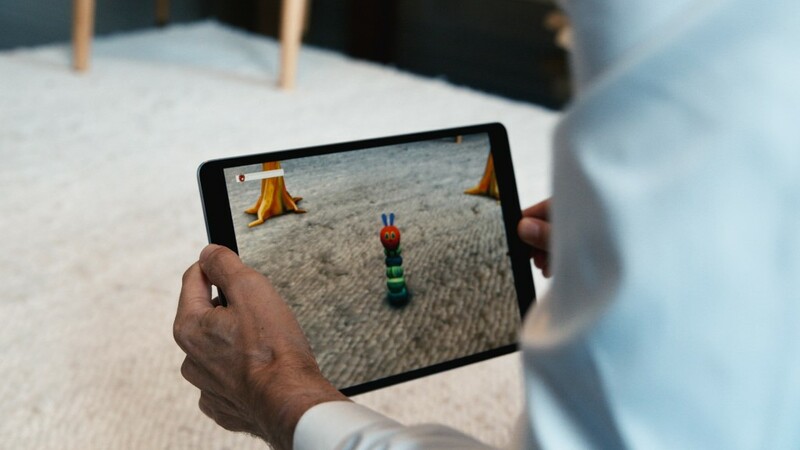 In Apple's implementation, augmented reality requires you to hold up your phone or tablet to see virtual objects implanted into the real world. 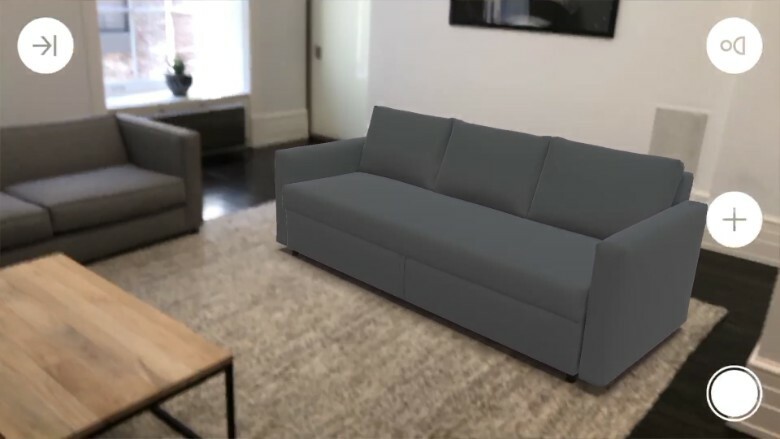 For example, the new IKEA Place app -- which will become available with the launch of iOS 11 -- allows you to select furniture from its website and place it virtually within a room. So you can try before you buy. One of these couches is not like the other. While the virtual furniture doesn't look entirely realistic, it's close. The app measures the room you're in and then places the furniture within it based on the item's real dimensions. That way you can see how a couch or a chair might fit. The company says sizing is about 98% accurate. But the concept isn't entirely new. The Pokémon Go phenomenon last summer had people all across the country tossing virtual Poké Balls into city streets. For AR to work on an iPhone or iPad, an app needs to find a plane -- a floor, a table, some sort of surface for a virtual object to sit on. It then detects the light in the room. Virtual objects can reflect that light and cast a shadow, just like a real object would. Most importantly, an AR application needs to constantly recalculate all of these things, so that when you move your phone, the object stays in place. If you've ever tried to use a Snapchat filter, only to have it flicker and jump around, you know this isn't easy. 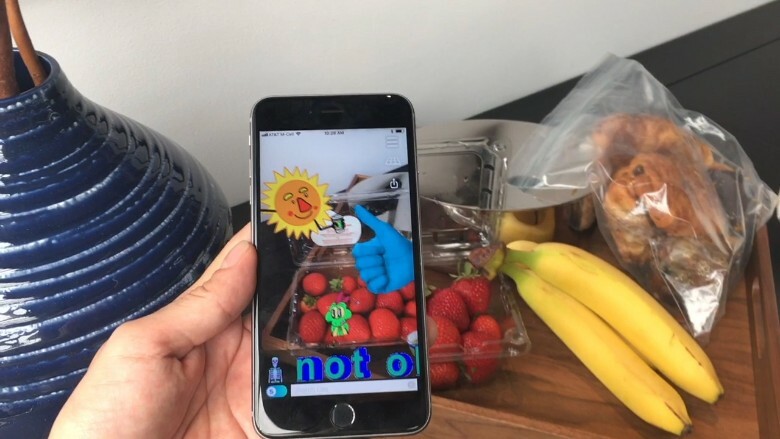 CNN Tech received an early look at some apps that'll soon incorporate AR. While IKEA Place seems genuinely useful, others miss the mark. The Giphy World app from GIF search engine Giphy felt a bit gimmicky. The app lets you overlay animated GIFs onto the people and places around you. You can then share that augmented tour with your friends. But it was also easy to see how AR could find a natural place in gaming. "Arise" by Climax Studios places its world in front of you, allowing you to walk around or move your phone to adjust the perspective -- rather than relying on buttons or a joystick to move characters. Apple is being coy about new devices -- such as the rumored glasses it's reportedly been working on for years -- that could also incorporate AR in the future. For now, Joswiak said "rather than require specialized hardware and ... [buying] something new ... all you need is an iPhone or an iPad."